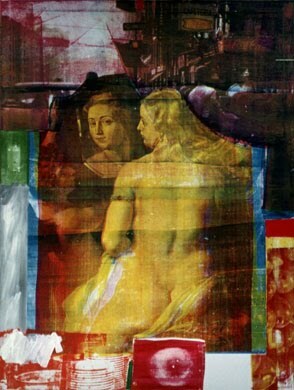 Robert Rauschenberg oil and silkscreen on canvas painting Persimmon was done in 1964. As Rauschenbergs style evolved he utilized silkscreen imagery taken from photojournalism to transform the art experience. He was perhaps the first artist to test this. I really enjoy the colors he used together and the different images.